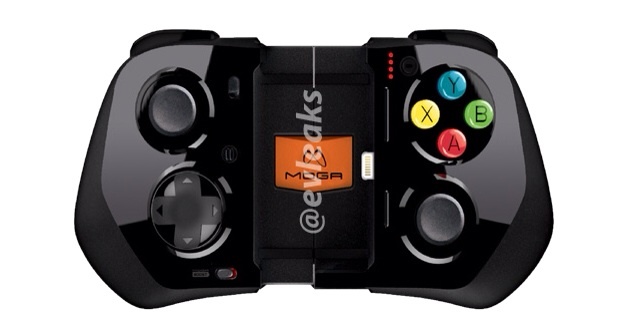 A new iPhone game controller from MOGA called the 'Ace Power' has been leaked online via @evleaks. The device features a 1800mAh battery and a collapsible design. There is a D-pad and thumbstick stick on the left and another thumbstick and buttons on the right. MOGA isn't the only company that is working on a game controller for iOS 7 devices. We've also seen photos of a leaked Logitech controller and ClamCase has unveiled its upcoming GameCase. No word on pricing or availability on any of these.